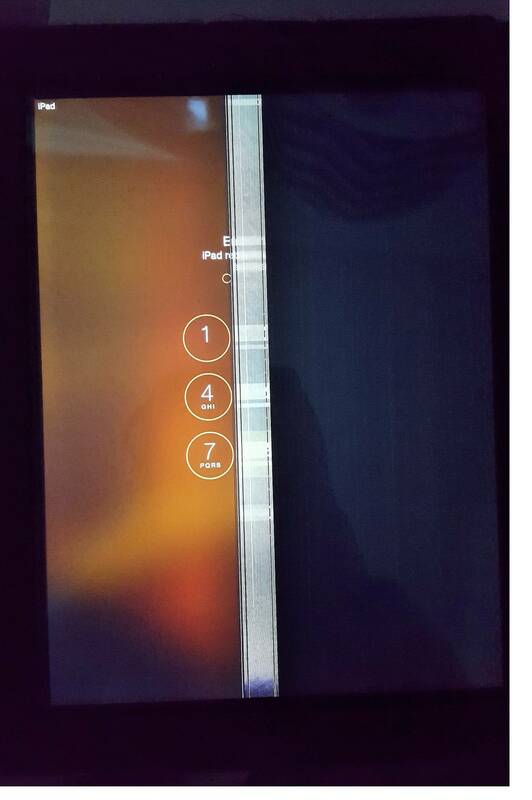 a few months a go, I opened my iPad to see my screen half blacked half works. I'm not sure what happened.. I attached a pic of its condition. Does it look like a software issue or broken screen? Can I buy and change the screen? Is it worth it? broken screen itself (very not probable, unless you dropped it). a hard slap on the underside or sides of the device – the screen might flicker screen back to life. The screen has to be turned on, to see if slaps/shocks are helping. You need to watch if anything changes on the screen, flickering changes, it backs to normal, and then again doesn't work, or other symptoms. If you'll see the change - it will help you to diagnose the problem. The screen itself is pretty expensive component in iPad, so the physical replacement would be costly for an old iPad, unless you can do it yourself. In most cases - guys are buying the new device, and the old one - they sell to repair-shops for a spare parts. Of course if you got top-notch version - it's easier to go to official repair-shop for replacement, they will give you warranty as well. This is a hardware problem. You can replace the screen, either do-it-yourself (there are several online guides) or take it into a place like iFixIt. Depending on the device, a replacement will cost you between $100-$300. You'll need to decide for yourself if it's worth it to get the screen replaced or buy a new iPad. Not the answer you're looking for? Browse other questions tagged ipad screen . Month old iPad mini 4 has a yellow box outline on the screen! What should I do? How to fix weird screen issues on Macbook Pro after appr. half an hour of activity? How to take care of an iPod touch with a broken screen? How to fix an iPhone with half a screen showing a different color?